Not sure how to do something in Communifire? Let us show you — at your own pace. Here you’ll find video walk-throughs of the features and functionality built into your intranet solution. 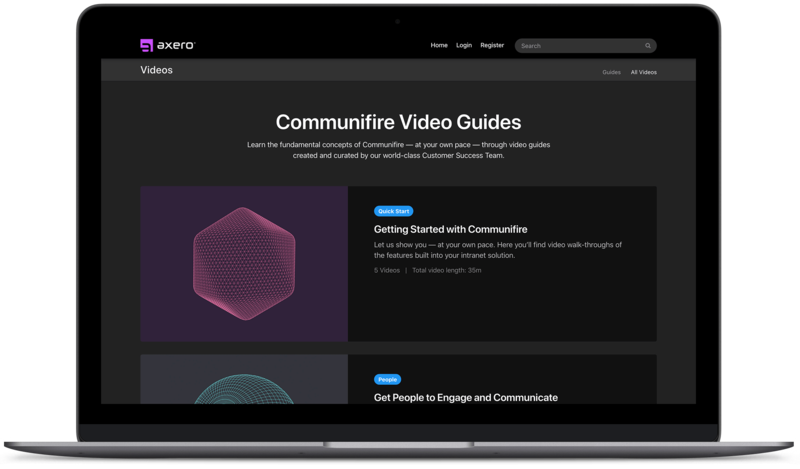 Learn the fundamental concepts of Communifire — at your own pace — through video guides created and curated by our world-class Customer Success Team. 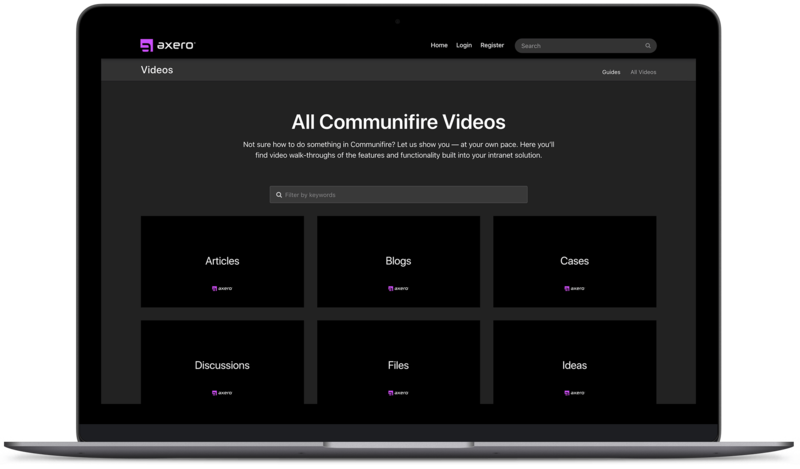 Browse and filter through all Communifire videos and zero in on specific features and functionality you'd like to learn more about.